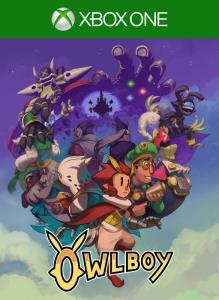 Owlboy is a story-driven platform adventure game, where you can fly and explore a brand new world in the clouds! Pick up your friends, and bring them with you as you explore the open skies. Overcome obstacles and greater enemies, in one of the most detailed adventures of this era. Being a mute, Otus struggles living up to the expectations of owl-hood. Things spiral from bad to worse with the sudden appearance of sky pirates. What follows is a journey through monster infested ruins, with unexpected encounters, well kept secrets, and burdens no one should have to bear. + A love letter to pixel art for a new audience, Owlboy is a story-driven action adventure, with a unique mix of flight and platforming. + Carry anything. Recruit Otus’s friends as gunners to fight for you, each with unique abilities and stories. + Large dungeons with big and challenging boss battles. + An adventure 10 years in the making.